for $549,000 with 3 bedrooms and 2 full baths. This 2,612 square foot home was built in 1998 on a lot size of 0.99 Acre(s). 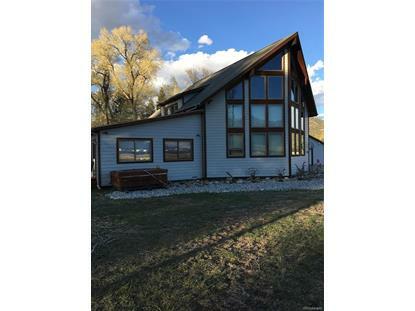 This beautifully built, custom home is set back from the street and has wonderful, unobstructed views of Mt Princeton in a park-like setting. 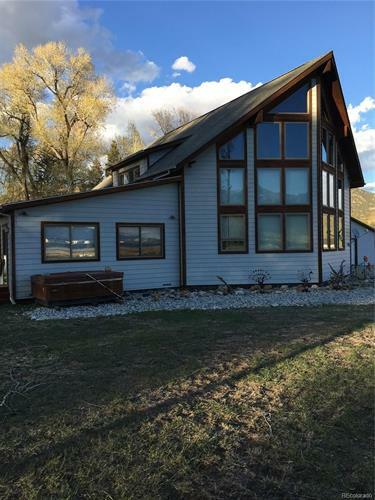 Features include: a bow window wall facing South towards Mt Princeton, T&G aspen ceiling in living room and family room, open floor plan with kitchen, dining area and great room. Lots of windows for great light and views in all the rooms. Cozy family room has surround sound and opens onto a brick deck that is wired for a hot tub! Master bedroom and ensuite bath with jacuzzi tub and glassed in shower is on the main floor. Upstairs is a loft, 2 bedrooms and another full bath that has a skylight. Detached oversized garage is heated and has lots of shelves for storage. Easy access to the outside with 4 doors. Also on the property are two sheds; one is a workshop/planting shed with built in shelves and electricity, the other has a cement floor for good storage. On almost an acre, there is also 220 electrical hook-up and water for your RV.